Whilst Scouts and non-Scouts alike are excited about our new Awareness Campaign “Learn it Young. 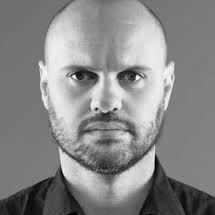 Remember it Forever” let’s find out more about the man behind the project, Gavin Whitfield, Executive Creative Director at Not Norm Advertising Agency in Cape Town and father of two young children. SSA: You were the driver of this project that was done pro bono for SCOUTS South Africa. As a very busy Executive Creative Director @ Not Norm Advertising Agency, what motivated you to undertake this project? Gavin: It’s quite simple really; I knew we had a good relationship with SCOUTS South Africa and I’d been thinking about a related strategic issue when I had the idea. I made a call to Gregg Bailey, a director at Velocity Films and he liked it, as did his producer. They called Deliverance Post and the team of Frog Squad and everyone just bought into it – the script sold itself and people seemed to really relate to the story. Everyone had their own Scout story, whether they’d been one or not. It really was the most satisfying pro bono job I’ve ever done. SSA: Where did the concept of learning something young and remembering it forever come from? Gavin: It just occurred to me how much of what I know I learned before I was sixteen. Those memories are vivid. Those skills are ‘forever’ learned. Like riding a bicycle or swimming or how to catch a ball – they become instinct. They’re latent, just waiting for when they’re needed. I felt this tapped into a space that would be motivating for both parents and kids alike. SSA: How do you think this relates to Scouting? SSA: What do you hope this video achieves? 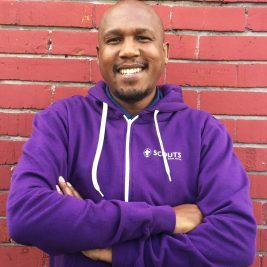 Gavin: Quite simply, our hope is that it will reignite interest in Scouting – that people will realize that Scouting is as relevant and vital today as it was 100 years ago. We want them to visit the site www.scouts.org.za and find out more. SSA: Can you tell us more about Not Norm Advertising Agency?